A cute life message to express your opinion about life and your current status to the world. By setting this picture as your Whatsapp Dp, you let know your friends about your current situation without pinging them directly. 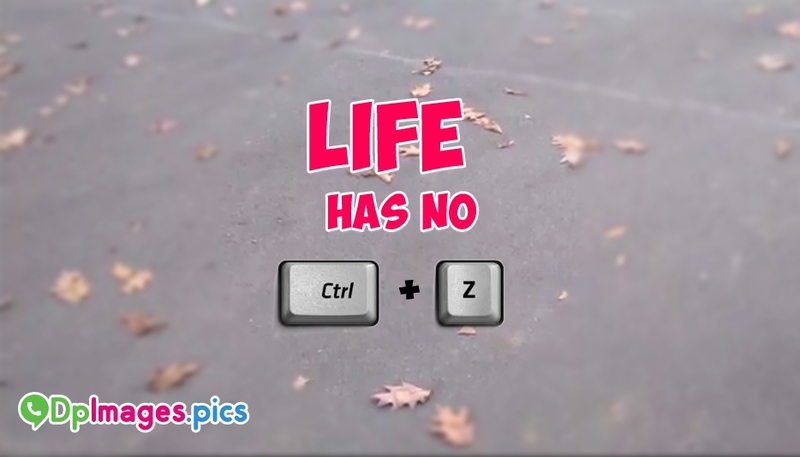 The picture portrays a beautiful life message "Life has no Ctrl+Z" which is so true and meaningful.